The magic of the holiday season will be brought to life as Ballet Chesapeake presents its performances of The Nutcracker! 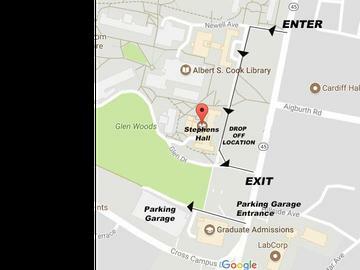 Parking for Stephens Hall Theatre is located in the Glen Garage on Towson University's campus. There is ongoing construction taking place near the theater and it is not a short walk from the garage to Stephens Hall . If you would like to drop any guests off at the theater doors, that is no problem. We ask that you please DO NOT PARK in front of the theater. Please be sure to follow event signs to the parking garage. A map of the campus is below for reference. Thank you and see you soon!